Shopping can already be an overwhelming experience. Brands vying for attention in crowded shopping centres or department stores; fragrances being sprayed at you; confusing wayfinding; bewildering bright lights. 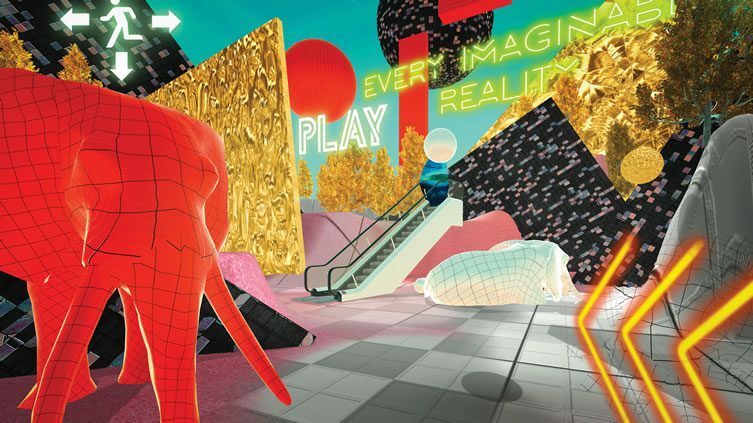 And it’s only going to get worse — at least that’s the prophecy of New Yorker Allison Crank, who has recently completed a Masters in Contextual Design at the Design Academy Eindhoven; her thesis a virtual reality mindfuck that looks to the near-future of our shopping experience. Welcome to The Reality Theatre. 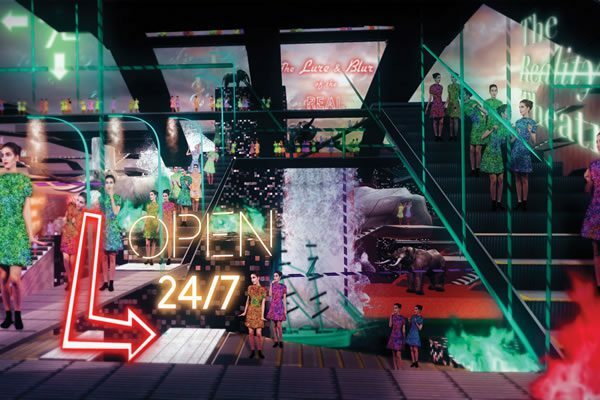 “What if we designed stores as stages? 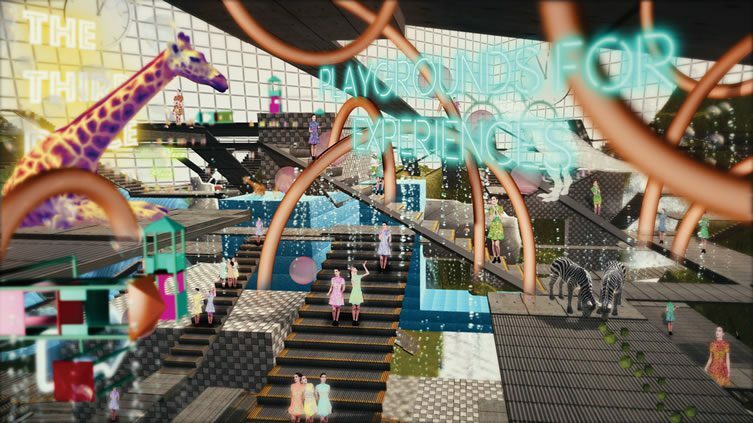 What if shopping were a script for new stories?” Questions Crank, who sees the future of shopping as an immersive experience in which we, the consumer, play the starring role. 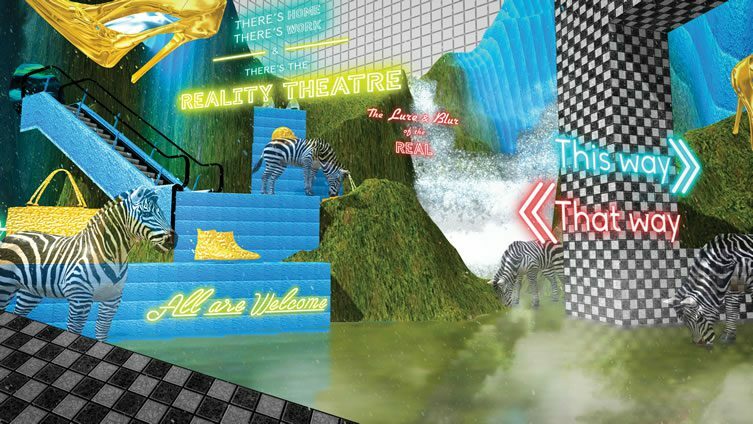 Where brands like Dior, Tommy Hilfiger and Topshop have used the existing capabilities of VR to transport their customers to the catwalk — front row, and backstage — Crank’s vision takes the comprehensible to another level … lines are blurred between the virtual and the reality, the shopping centre becomes a fantasy land where a zebra might tell you your bum looks big in that; where an escalator leads to nowhere and everywhere. The conceptual designer talks of architecture, props, clothing and movement melting into a unified celebration of virtuality, of consumers playing with their environment — but in a world where brands and retailers already use disorientation as a way to increase sales, where our physical experiences are already mapped out for us, is Crank’s vision as unsettling as it is brilliant? Only time will tell.